The entire Sketchfab team would like to wish you wonderful holidays and a successful, inspired and fun 2017. Relax, celebrate and recharge and get ready for another creative year! We entered VR. One of the things we spent a lot of energy on this year is VR. We think VR provides the best way to explore Sketchfab scenes – the native way to do it. Our goal was to make sure you can browse any Sketchfab model in VR with any headset. We did that by shipping WebVR support, and releasing a VR browser letting you browse Sketchfab itself in VR. This was V1, look out for v2 next year! We crafted a fabulous new viewer. The Sketchfab 3D and VR viewer is the central piece of what we do. After 4 years, we felt it was time to revamp it. We completely redesigned it, in order to better incorporate new features like animations, annotations and VR, and also make the general experience easier and better. We added 4D support. We work hard to make Sketchfab the best platform for your 3D files, and the ultimate standard in terms of 3D publishing. Part of this effort means supporting as many formats as possible. We saw volumetric video capture coming, and so we made sure you could upload that to Sketchfab as well. We unveiled Instamuseum. We want to foster new ways to create 3D content, and came up with a simple concept letting you build your own virtual museum from your Instagram photos. Thousands of people got to publish their first 3D model this way. 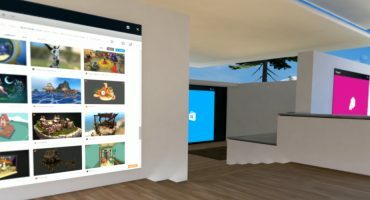 We got integrated in Twitter, WordPress, Steam, and many others… One of our goals is to provide the most standard viewer, which means letting you embed your 3D work anywhere on the web. We passed more than 70 publish integrations to make that a reality. We reached 1 million 3D scenes published on Sketchfab! A big milestone, thanks to you, our community. This is also an illustration of one of our beliefs that everyone is becoming a 3D creator. More people have created and shared 3D captures this year than ever before, and 2016 saw the rise of VR creation. With tools like TiltBrush, Medium, GravitySketch or Quill, anyone can express himself in 3D, and create fabulous art. We released collections and boosted our search. With more than one millions things to explore, we needed to figure out better ways for people to discover the best content, and find what they are looking for. Collections let you curate, organise, gather amazing things, and the new search brings better results faster. If you want a deep dive into the Sketchfab milestones, head over to sketchfab.com/timeline. Happy holidays from the entire team! A great year for Sketchfab! And I hope to be part of this growing and very positive community for many more years to come! Thank You Alban 🙂 ! Everyone at Sketchfab! Great year, great work, & greatly appreciated! All my best! Huge love to everyone who’s come along for the ride with us in 2016. Wishing you a prosperous, healthy, and happy 2017 in all your endeavors! Congrats Sketchfab team!! so many epic milestones in 12 months!! Congratulations for every single success reached this as well as this marvellous experience of sharing 3D animated objects over internet that makes me amazed every time! Happy holidays to you and the Sketchfab team! Congratulations on all the amazing effort, support and amazing goals reached in 2016! Happy holidays to the entire Sketchfab Team and the awesome community! It’s always an honor being apart of the talented Sketchfab team and community. Thanks to everyone for such a great year and looking forward to what 2017 brings! We at Friends of Upminster Windmill very most appreciative of the initiative you took to provide Heritage charities with Pro accounts, something we may not have been able to aspire to otherwise, which has proved most valuable in our public information resources. The windmill is an important English heritage site and is undergoing a major restoration project to restore the mill to full working order and build a visitor centre, funded by the Heritage Lottery Fund, to be completed by eraly 2018. Sketchfab provides us with a visually meaningful way to show the research and archaeology of the site and the mill’s details. Although our content on Sketchfab is small at present it is playing a vital role. During the restoration project we will be expanding the numbers of our models considerably to form a library covering every aspect of the mill and its complex workings, that can only be properly appreciated and understood via 3D. 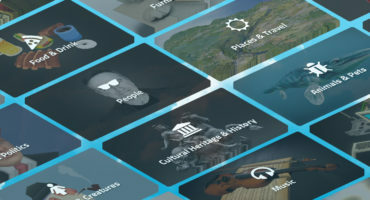 Sketchfab’s development of new and exciting ways to improve the 3D world is inspiring us with many fresh ideas as to how we can improve the experience we provide the public through the internet, and eventually via our Sketchfab linked display equipment at the new visitor centre. Providing visitors to the mill with VR headsets linked to our Sketchfab content, including guided tours, once we have learned how to produce these, seems a wonderful idea. We have many disabled and elderly visitors who cannot manage the tricky access up the mill, so VR would be a lovely experience for them. We are providing extensive educational facilities for children, and I have the notion that it would be nice for the teachers to get the children to build simple models, either manually, or by sowing together pictures they gave taken, and we would show these as a constantly refreshing collection as part of our Sketchfab content. Exciting for the children to take part in somthing important, and will encourage new 3D modellers. Will be great if I can share that model to WhatsApp friends. What do you think ? To which particular model are you referring? Some of the models on the Friends of Upminster Sketchfab site have been authored by me, and some by another FUW members, with more contributors expected soon. So far as setting downloading permissions I would have to check with the individual authors, but as far as public viewing is concerned, as far as I am aware our models can be viewed by anyone and cross linked – all good publicity for FUW. for all models, is about the share button from interface 3D where you can find share buttons and Link. maybe under mobile browser will work. Yeah, WhatsApp support would be great. I’ll share the idea! The problem will come with the sized data share , but I think can be done into manner to solve this issue with a link to website and a gif animation frames from model… or maybe just share the link to web mobile or android app dedicated viewing sketchfab models.